The suspects filed 23,000 false claims for procedures that were never done, officials say. 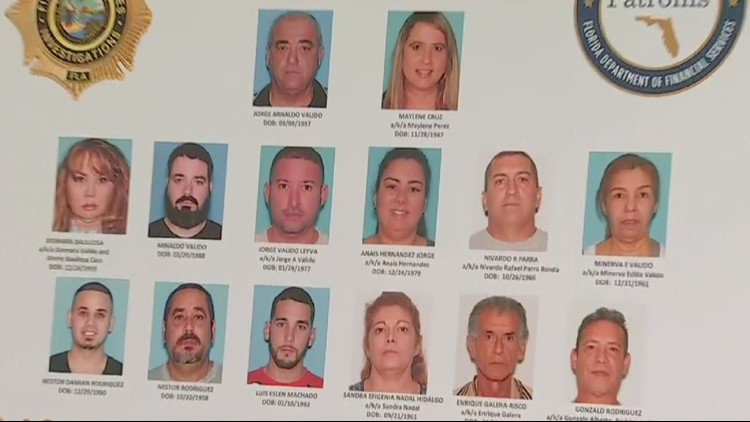 Ten people were arrested, and four people are still being sought after a $42 million insurance fraud ring was busted, state officials announced Wednesday. The suspects used stolen doctors' identities to file more than 23,000 fraudulent claims after setting up 15 fake clinics and storefronts across Florida, officials said. Two of the locations were in Tampa: Alliance Care Corp. and Efigen Medical Inc., according to officials. In all, $42,742,852 in services were billed, even though no medical procedures were performed. The arrests were announced by Florida's Chief Financial Officer Jimmy Patronis and the Florida Department of Law Enforcement.